Everton have secured the services of Nigerian global Henry Onyekuru ahead of Arsenal. Everton have pulled off a significant transfer coup by reportedly securing a deal for Henry Onyekuru from Belgian outfit KAS Eupen. The Hammers have been pursuing new attacking options this summer and were keen to bring in the 20-year-old striker from KAS Eupen after he netted 22 league goals. Arsenal were the first club to be linked with the Nigerian striker before West Ham were thought to have taken the lead earlier this month in the race for his signature. Everton have had a couple of Nigerian players wear their colours in the past. Everton feel another season spent with Anderlecht, who will be playing in the Champions League, will be significant for Onyekuru's development and he will arrive at Goodison Park in 12 months' time a much more polished forward. 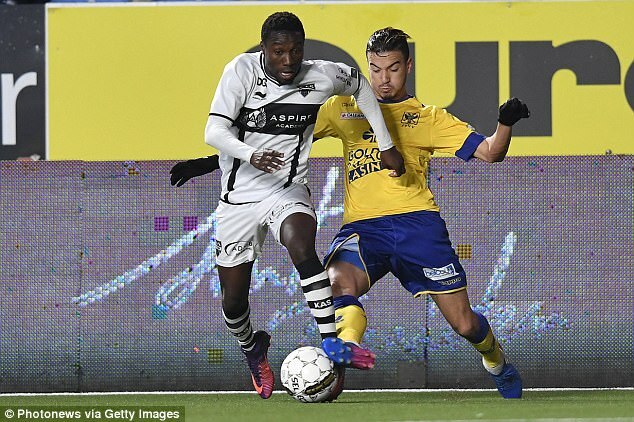 Onyekuru will become the latest Blues arrival of the summer after they struck a deal with KAS Eupen for the promising Nigeria worldwide. Everton are also close to signing Malaga striker Sandro Ramirez for £5.2m. Toffees boss Koeman and director of football Walsh are now expected to intensify their pursuit of Burnley's £25m-rated England defender Michael Keane and Swansea City's Iceland midfielder Gylfi Sigurdsson.